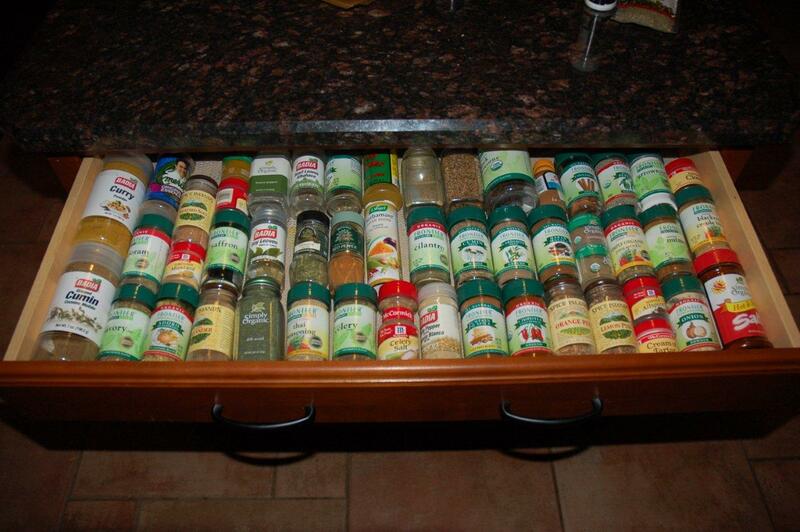 This is what my spice drawer looked like at our previous house. When we moved, I pulled my old rotating double-decker spice organizers out that were my mother's back in the 70's. She actually set it up for me (as well as most of my kitchen!) and alphabetized them all. The organizers save so much room in my cabinet, and would probably work in yours, Gretchen. I have 1 on 2 different shelves. They make similar ones now that are sold as baby food organizers. I wish I had a drawer to do that!